Above: attractive canal-side homes. It is difficult to imagine this Hainsworth Road setting as the site of the old municipal gasworks. Above: the same scene post-war. The landmark gas-holder (gasometer) can be seen between the retort house on the left, where coal was heated to generate the gas, and the manager's house on the right. The photograph is from the late Kevin Bower's collection. Above: Demolition of the retort house opened up the view of the gas-holder. Photograph from the late Kevin Bower's collection. 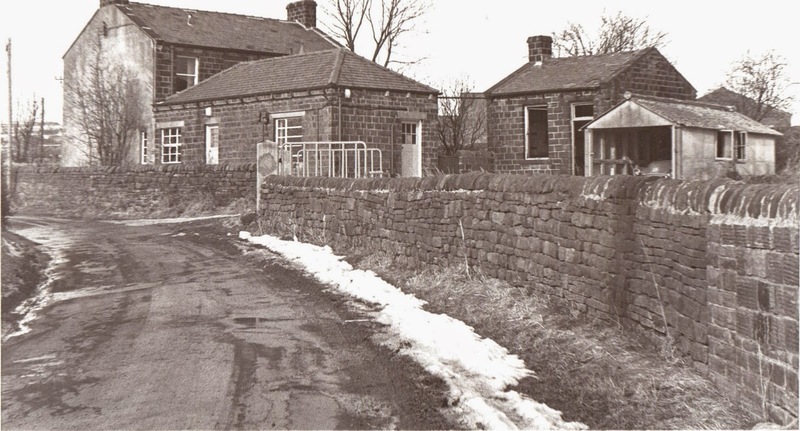 Silsden's gas supply was originally provided by a local firm until about 1880 when the Local Board (the Urban District Council's predecessor) entered into an agreement with the Kildwick Parish Gas Company for bulk supply. This arrangement continued until 1903 by when the UDC had built the Hainsworth Road gasworks. 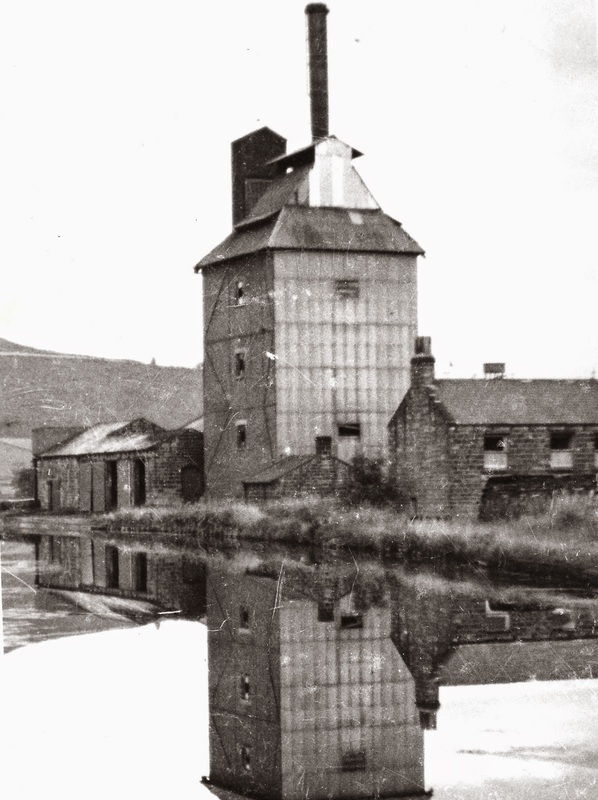 Above: an earlier view showing the tower that would have been packed with coke, down which water was trickled to remove ammonia and ammonium compounds. Photograph by the late Will Baldwin. Above: demolition of the tower and chimney. Photograph by the late Will Baldwin. 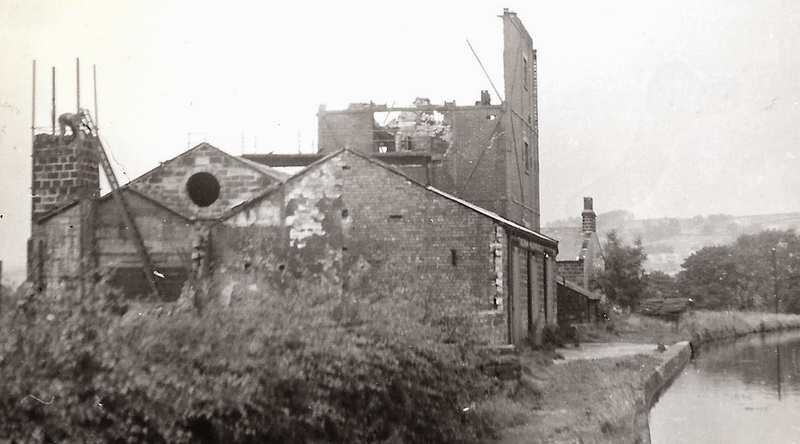 Silsden council operated the gasworks until nationalisation in 1949 when the plant became the responsibility of the North Eastern Gas Board. Above: the former manager's house, Valley View, has been a distinctive feature of Hainsworth Road for more than 100 years. Above: the rear of the house about 50 years ago. Hainsworth Road is still referred to as "gasworks lane" by older Silsdeners. Photograph from the late Kevin Bower's collection. Above: nine stylish houses have been built on the old gasworks site, seven of them overlook the canal. The development was completed in 2008. Houses that have come on the market since then have carried prices in the region of £300,000. Above: the four-bedroom houses form a cul-de-sac, which is named Canal Side, as shown below. The field beyond the development was the home of the Silsden Amateur Rugby League Club from its inception in 1921 until 1963.